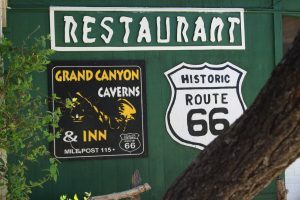 200-feet below ground or fresh pie enjoyed in a time capsule from the era of I Like Ike buttons, trail rides and miniature golf, an award-winning RV park or a refurbished motel from the glory days of Route 66 are just a few of the surprises awaiting discovery at Grand Canyon Caverns. 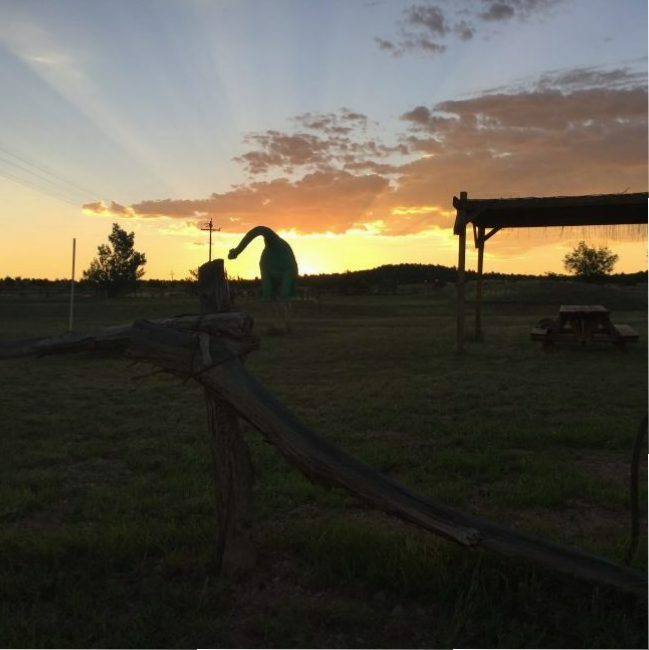 Located sixty scenic miles east of Kingman, Arizona on historic Route 66, the caverns are a great all-season day trip, or a perfect place for a weekend getaway. When Edsel Ford and his college buddies motored west on the National Old Trails Road in the summer of 1915, they passed within a few hundred feet of the caverns natural entrance and never realized that deep beneath the wheels of their Model T, there was a scenic wonderland without equal. They were not alone. That year more than 10,000 people followed the primitive highway west to California, stopping along the way to see the natural wonders of the southwest. A bit of improvement was made in the latter half of the 1930s when a series of stairs, wooden walkways, and even a swinging bridge replaced Peck’s contraption and eased access to the scenic wonders of the caverns. As an historic footnote most of the wood for this endeavor were materials salvaged from the construction of Hoover Dam, and to this day many of these components still are encrusted with concrete. 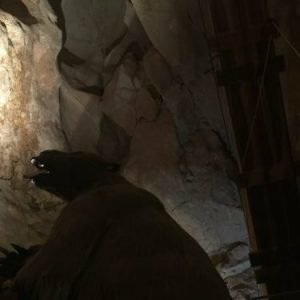 With the post war explosion of travelers along Route 66, the caverns continued to evolve. An elevator salvaged from a demolition project in Phoenix that was added in the late 1950s, whisked visitors into the caverns. A motel, two restaurants, swimming pool, gift shop, lounge, service station, garage, and truck stop were added in the 1960s. By 1964 the caverns were the second most visited attraction in the state of Arizona, and Route 66 was widened to four lanes at the entrance to accommodate the crush of traffic. The caverns complex entered a period of precipitous decline after completion of the Route 66 bypass in the late 1970s, but like the mythical Phoenix, it has risen from the ashes of neglect. The motel was recently fully refurbished, as was the restaurant and gift shop at the caverns entrance. A specialty motel room was added within the caverns, and in the fall of 2017, the reservation only Caverns Grotto restaurant opened 21-stories underground. 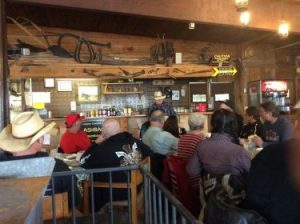 Once again, the complex is a favored destination for Route 66 enthusiasts, as well as for people looking for a bit of adventure, or simply a place for a great day trip. For more information about the caverns, or to make motel reservations contact Grand Canyon Caverns.